Back when I worked for the chain bookstore, which I will now forever-more refer to as A&R due to their demise (which, for anyone that had ever dealt with them was not unexpected at all! You can't run a business the way they did and expect to survive. They gave new meaning to the term 'run in to the ground'!) there was an initiative started called The Top 100. The first year it started, everyone that worked for A&R was asked to vote for their top 5 favourite books and then the Top 100 list was compiled from that. Each year afterwards the voting was opened up to the public and a new list was generated. Not long after A&R started their Top 100 favourites, Dymocks started their Top 101 books list, and has been doing it ever since. I love these kinds of lists, not only because I like to vote in them and get a chance to win every book that makes the list, but because its always interesting to see what books make the grade and how many I have read. If this happens then my job as a mother will be done! There are always the inevitable classics, The Bible makes the list every single year, and Harry Potter is almost always in the Top 3, along with Jane Austen's Pride & Prejudice. And there are always books that make the list based purely on the fact that they are fairly recent releases (or their movies were recently released) and so they stick in the minds of the people who are voting and so make the list, whether you think they are worthy or not. The first year that A&R had their Top 100 list Dan Brown's The DaVinci Code was number one. Something I must admit I was a little surprised at. I would expect the broader book buying public to vote for something like that, but not booksellers, who generally have more opportunity to read a wider range of books. Don't get me wrong, I've read The DaVinci Code, and its not a bad book, but personally I don't think its worthy of the Top spot. But that's just my opinion. Obviously many people love it. And that brings me to my only issue with the Top 101 and the way people debate what should or should not be on the list like its a matter of life and death! If you have a look at the Dymocks facebook page, you can see robust 'discussion' going on about why one book is better than another, or why this book should have been included and that book should never have even been considered. My issue, is like with anything even remotely artistic, the worthiness of a work to be voted in a Top 100 list always comes down to personal preference. We humans are all so different and unique. And as such, the type of book that one person loves is the type of book that another hates and classes as the worst written piece of drivel in history. To them. Its why some people don't like Harry Potter (crazy I know!) but think a book like The Slap is literary gold (couldn't even finish it, I hate it so much). I'm smart enough to know that what floats my boat, and what I think is a fantastic read, is not always gonna be someone else's cup of tea. So I don't get worked up about it. Sure there are definitely books that are better written than others, books that make it obvious the author (or their editor) have a strong grasp of grammar, spelling and the English language, and there are other books that, despite their popularity, are clearly not well-written, and even their fans can see that. But the reason they are popular is because, if you relate to the 'story' enough, then you will forgive shoddy writing and use of language (I'm looking at you Twilight and 50 Shades of Grey. Disclaimer: I've read Twilight but not 50 Shades). The whole point of fiction is to tell a story and to transport us to worlds outside of our own, to encourage us to use our imaginations and see life through the eyes of another, to give us different perspectives. Sometimes you'll love that perspective, it will touch you and have you thinking about it long after the final page has been read. Other times you'll hate it so much that you can't even get to the end of the book and you'll wonder why anyone would read such drivel. And its because of this that I love these types of lists, where people vote for their favourite books. And that's the key word, 'favourite'. It's not about great literary works of art but about the stories that have touched people and that stand out in their mind. The new Dymocks Top 101 list is out and I've listed them below for you. I've bolded the ones I've read (and included links to the ones I've reviewed on the blog) and the total comes to 31. Have you read many on the list? What would make your number 1 spot? A few years ago I had a series of guest posts from readers telling me their Top 5 favourite books of all time. I would love to open that up again and have a few of you share with me and everyone else your top 5 fave books. If you're interested in contributing a post then let me know in the comments and I'll get in touch with you soon, or shoot me an email to kylie(@)kyliepurtell(.)com. P.S. This is not a sponsored post for Dymocks, I'm just a book nerd of the highest order! I've read 22, including 4 of the top 5 ( am half way thru the ' Song of Ice and Fire ' series, so it counts! ). And I agree with you about personal preference being the deciding factor - I don't mind a but of the fantasy genre, like ' Song of Ice and Fire ' or anything by Neil Gaiman, but lots of other people wouldn't even consider picking those books up.. 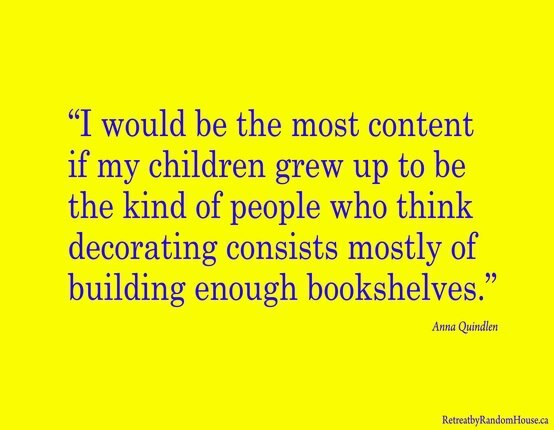 I love books, fostering a love of reading in my kids has been a big priority for me (with mixed results). I've read a few on the list there's a couple I'll never read (don't get me started on 50 shades unless you want a rant). I made a point of reading a ton of books on our honeymoon mostly classics like 1984 that had always been on my should read list, I think I need to do that again. I've read 34 of the books - thinking I should get to library and grab quite afew more! My favourite book of all time is definitely The Book Thief, but going through that list I kept thinking, "Oh, I loved that book!" about almost every one i'd read :-) The power ofa good book is a wonderful thing. 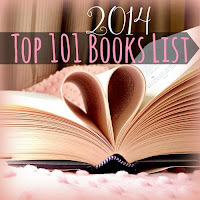 Some fantastic books on that list. You are right, we are all so different and so are our choices in books. 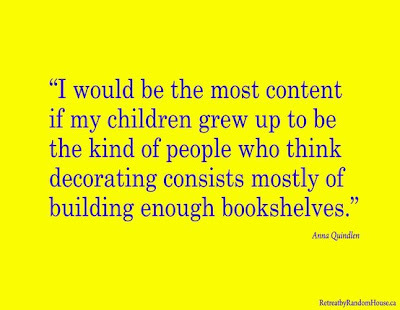 If we were all the same it would be a pretty boring place and a tougher place for authors! To kill a Mocking Bird would make my number 1 spot. Hands down! I'm sad to see 50 Shades of Grey on there. Just because I'm a literary snob. The Catcher in The Rye, Mao's Dancer, The Kite Runner and Jane Eyre are also some of my faves! The sad thing is I actually have a lot of books in that list, but have yet to read them! Some of my faves are To Kill a Mockingbird (I want to name my son Atticus! ), Pride and Prejudice, and Lil Women. I feel like reading the Little Prince again now. I wrote about my favourite books for my recent list mania post and would love to share my top 5 here! Boy thats bad, and I've read some of the random ones, like stephanie meyers 'host'. Read both Jane Austen, haven't read some but they are on my shelf or on my kindle for me to start reading soon. Can I borrow The Hitchhikers guide to the galaxy, I've never read it! I think I've read about 13 of these. A couple more that I've attempted but just couldn't get into were the "Time Traveller's Wife" (I loved the movie when I eventually saw it.) & "Eat Pray Love". Ah! My fave books of 2012 are at 80 and 89 - ridiculous!! Glad to see Cross Stitch up there. That was an amazing book and series, and one I come back to all the time. She's Come Undone is one of my all time favourite books too! I also loved Wally Lamb's book I Know This Much Is True. Tully is another one of Paulina Simmons' books. A friend of mine absolutely loved Bronze Horseman and got me to read it although I never made it to the end. I've only read 13 of these! I used to be such a big reader. I never give myself time to read now. I stay up too late in front of the laptop these days and I don't have big commutes which is where I used to read pre child. I'm disappointed Cloud Atlas isn't up there. Nick Hornby's High Fidelity is another one of my favourites not there. As mentioned below Wally Lamb's She's Come Undone is amazing. This post makes me want to hole up somewhere and spend the next month reading! I have read 28 of those...mainly from the top 50. I am a complete book snob. If I don't love it in the first few pages, I ditch it. I can't waste a minute of my precious life reading crap books. I have lots of favourites...including: Kite Runner, The Book Thief, Anna Karenina, The Anatomy of Wings, Girl With The Pearl Earring, Breathe, God of Small Things...I am sure there are many more. Oh I do love The Magic of the Faraway Tree! I am reading it to Miss at the moment, such a classic. Suprisingly I have read 11 of those books. I went reading novels for a while when I was studying and working in a high level job. Now I am back reading and loving new books. Hi Georgie, thanks for stopping by! I've read The Stand but not Gone with the Wind, its just never piqued my interest. I really want to read the Song of Ice and Fire series. I think my MIL might have it so something to remember for when I'm not working again. I too have been trying to foster a love of reading with my daughter, I think its so important. I don't think I'll ever read 50 Shades either, for various reasons. I have a 'To Read' list that is as long as me! There just isn't enough hours in the day! 49 is a very good effort indeed! I know what you mean about choosing a favourite, its is definitely an exceptionally hard thing to do! Yeah, I don't think I'll ever bother with 50 Shades, based on everything I've heard and read about it. I have enough things to do without wasting time on that! 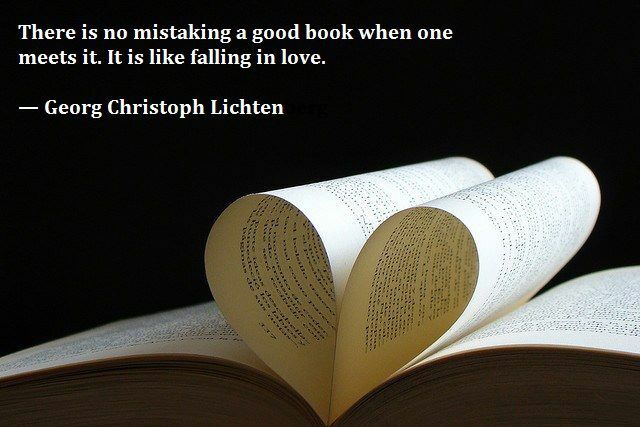 I loved the Book Thief too, it was one of those books I was totally riveted by. The power of a good book is most certainly a wonderful thing indeed! I am so glad that the list is (for me) varied, as I often use things like this to find new titles to read that perhaps ma not have crossed my radar otherwise. I can't imagine how hard it must be for authors to get their books out there, its not a task I envy! I really want to read Mao's Last Dancer, I have had it sitting on my shelf for years but never got around to reading it. I think I need to put it beside my bed so I actually get around to it! I'm the same Ai, there just aren't enough hours in the day to get around to reading them! Hi Debra, I would love to have you share your top 5. I'll send you a message on facebook with the details as there are a couple of questions I love to hear people's answers to as well as their top 5 (nothing too hard I promise!). I know the feeling! When I sat down to write my top 10 it took me soooo long and there were about 3 that I wanted to have as number one! I haven't seen the Time Traveller's Wife movie, the book is my number one fave and I've always been worried that watching it will taint the vision I have in my head of it! My Mum mostly 'reads' audiobooks too and its something I need to get on to as well, can you download them to an iPod? Nothing wrong with the cheapies on Kindle, I have stacks of them, just waiting for me to read them They are also a great way to find more books to read when you discover a new author. And YA is great as it takes less time but you still get a quality story. That's not bad Kate! You'd have to check with Mum if she still has the hitchhikers guide, it was her old copy that I borrowed and it was years ago, when I was in high school, so she may not have it anymore. I know what you mean about the haze, it has to be an exceptionally good book to stick in my mind these days. I would love to have you share your Top 5, I'll send you an email. I absolutely loved The Time Traveller's Wife, its actually my number one fave, but I know heaps of people that just couldn't get in to it. I haven't seen the movie though, I'm too scared it will ruin the book for me! Hmmm, top 5 that really surprised me? Now that is a good idea for a blog post. I will most certainly work on that, thanks Kev! 54! That's a great number. We Need to Talk About Kevin is pretty high up on my To Read list, ever since it was released and I was putting it away on bookshelves I've been interested but just never got around to it for some reason. I love the Hilary Mantel books too. It's a shame they don't feature higher, especially seeing the prestige that Wolf Hall has garnered. I haven't read Cross Stitch but I've seen it often and thought I should grab it. It really does come down to personal preference. I've actually just written a ranty post about the whole personal preference when it comes to blogging thing but I'm struggling to get it right without doing the exact thing that I am ranting about! Stay tuned for next Tuesday, hopefully I'll have refined it by then! I know what you mean V, I have to make myself make time for reading these days, otherwise it just doesn't happen. Now that Dave has predictable shifts I've decided that one of his night shifts is my night to read, no matter what. I'm hoping that way I'll at least get a bit of reading in once a week! I loved High Fidelity, excellent book. Did you see the movie? I was disappointed by it I have to say. I used to make myself finish books, I felt it was a travesty not to finish it once I'd started it. But now that I have such limited time and so many things that I want to do in that time, I don't finish every book I start. It's not worth wasting that precious time on books I'm not enjoying. I can't wait to read The Faraway Tree books to Punky, they were some of my favourites as a child and I hope she'll love them too. Time Traveller's Wife is probably my all time favourite as well. Refused to see the film for the same reason! I was disappointed by the movie when I first watched it but I watched it again recently and I liked it. Having that distance between reading the book and seeing it interpreted on screen allowed me to take the movie for what it was. I love John Cusack too. Love him. The same happened for Game of Thrones. I watched the first series in one day. That's right 10 hours in one day. Then I read the first three books and when season 2 came around I didn't like it so much because it is different from the books. It has to be. The books are 1000 pages each on average. I stopped at episode 1 and waited six months to put distance between the book and the tv show and then I was able to enjoy the show more. You HAVE to read it! I have not been this into a series of books....umm.... Ever?! You've read more on that list than I have! There's many on that list that I've had on my 'to read' list for years. Not finding much time to read since having children. I do love the Life of Pi. And To Kill a Mockingbird is a classic. It's so hard to pick a number 1 spot! I was so excited when I saw this list cause I really want to get back to sitting up at night in my warm comfy bed and reading. And then I saw Twillight on the list and I had a tantrum. I generally don't get worked up over lists such as these, and pretty much adopt a "to each their own" attitude when it comes to personal taste. Though I've read (and liked) some of the books on this list, my tastes lean away from the mainstream. My preferred genre is fantasy, but it hardly ever gets any love on favored lists. How this is possible when the works of Mr. Terry Pratchett are so full of life and chaos that they practically leap off the bookshelves is beyond me, but again, to each their own. But based on that list, I'd have to enthusiastically give top honors to Douglas Adams and his "Hitchhiker's Guide to the Galaxy."